Snowdon Cemetery opened in 1924 on the site of the early nineteenth century Snowdon House and its garden. The cemetery was a successor to The Valley and Ballengeich. There are splendid views of the castle and also out from Stirling to the hills to the west and north. Snowdon House, below Stirling Castle, late nineteenth century; Snowdon Cemetery now occupies the site of the house and its garden. 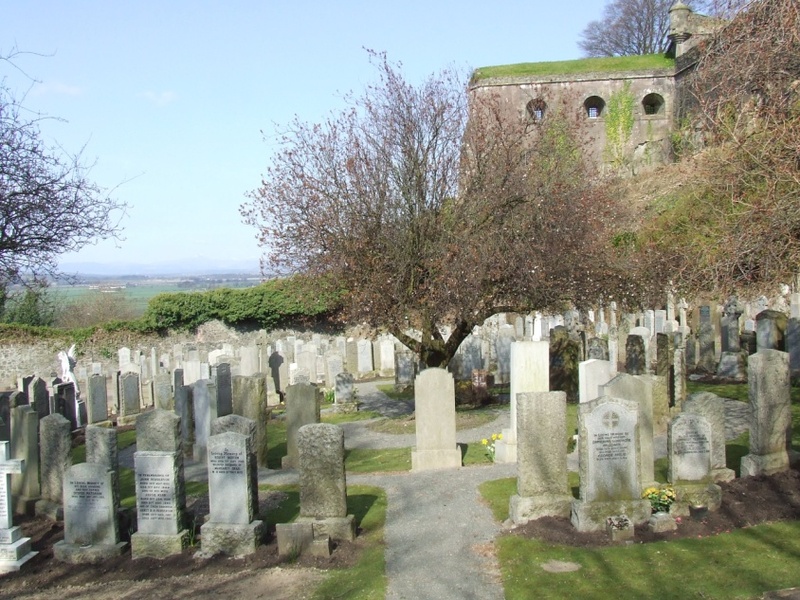 Snowdon Cemetery, close under the western side of Stirling Castle.